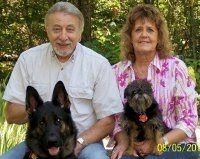 Bringing up Bella: Book review: "If I should die before my dog -"
Most of us have experienced the pain of losing a beloved pet. But I wonder how many have given much thought to how our pet would feel were they to suddenly lose us? What would happen to them? Who would feed them? Who would take them for walks, understand their needs and know that they prefer the yellow duck to the green dragon to sleep with at night? 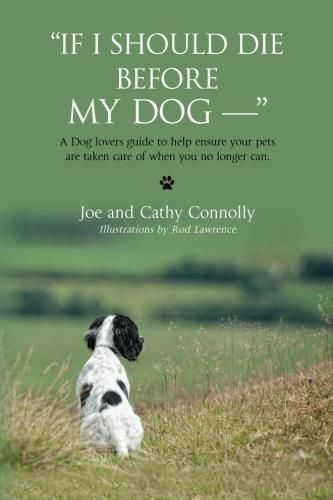 Authors Joe and Cathy Connolly have thought about all those questions and wrote "If I Should Die Before My Dog -" to get you thinking about it, too. "If I Should Die Before My Dog -" is a workbook that helps guide pet parents through the process of preparing a new life for your dog in the event you are no longer able to take care of them. Told from the perspective of your dog, the book addresses the dog's health and heritage, likes and fears and tricks and treats. And it does so in great detail. Joe and Cathy don't just ask the requisite questions like "Who's my vet?" and "How much do I eat?" They ask if the dog likes to go to the vet or is afraid. They ask about the kind of food the dog eats and if they're allowed table scraps and what their favorite snack is. They ask what kinds of medications the dog takes and give plenty of room to elaborate on past or current medical concerns. When I described the book to my husband, Jan, he joked that the book wouldn't be a best-seller because it's too difficult a subject for people to think about. Actually, I found in reading it to be quite the opposite. Aside from a short introduction, the book doesn't focus on loss. It focuses on love: the love you have for your dog. You are given the chance to "tell their story" and I spent the time reading the book thinking of all of Bella's quirks and talents. How far she has come, how well she communicates and how the book gave me a place to write all that down. I have to admit, this book was very difficult for Jan and I to talk about because of who Bella is - a fearful, reactive dog with occasional owner-directed aggression issues. We can't even come up with a good answer to the very first question: "Where will I go now?" It's uncomfortable to think and talk about this but in doing so we have come up with some ideas and plan to put them into action. This book forced us to confront that reality and will hopefully help Bella were the unthinkable ever to happen. I hope everyone who has a dog they love in their life will read this book and think about their answers. And if you don't know the answers? Maybe you need to go spend some quality time with your dog. I received this book to review through Beck Valley Books Book Tours, but anyone who knows me knows the opinions above are all my own. Thank you for such a heartfelt review. It is a difficult subject that is hard to think about. Once we completed ours we realized it's one important thing we don't have to worry about anymore. We found also that there are many little things, such as games THEY have created, that just made us smile when filling out the information. Thanks so much for a heartfelt review of a book that deals with such an important subject. My neighbors raised (and adored) dogs their whole lives. They're in their 90's now, and haven't had a dog for a dozen or so years, for fear that the dog might outlive them, and the uncertainty about it's future if that were to happen. What a great resource this book is! This sounds like a wonderful book. This is something that our family needs to talk about right NOW, but of course I keep putting it off. If a book such as this allowed enough space for you to record what you would want to be known about Bella, it definitely allows for details! And those details could make such an incredible difference for a dog if they lost their humans. We owe it them, it's an act of love. My only question is why someone hadn't thought of this before! Thought provoking book. I do keep a "worksheet" on all of my pets, including how much they eat, meds they take, and personality traits. I bring it with us when we travel too, just in case. Meadow is easy, as the Vizsla rescue we got her from would take her back, but I do worry about the others...especially Leah. She has some aggression issues, and like you said, that makes it hard to place. My mom says she would take her in, but Leah and her dogs squabble a little, so it would not be ideal for anyone involved. I just hope it never comes to that and we outlive her. I won a copy of this book on a blog giveaway. I have to admit I give more thought to this (I haven't written it down yet) than I care to admit. Especially if we are traveling. I worry about who will take care of them and still don't even have answers. I actually consider having us take separate flights, just in case. My biggest fear is that they will go into a shelter, although my daughter, friends at Lab rescue and my trainer promise me that won't happen. Because of these concerns, they will probably be the last dogs that I own and I will more than likely move into a foster type situation. It will still allow me to share my life and lvoe with a dog, but it will also keep me from stressing out about what will happen to them when I'm gone. Sounds like a good read. I've thought about the what if question before but never completely confronted it. This is definitely a tough subject but one we all need to consider. I am actually struggling right now trying to come up with somewhere to take my dog for a weekend stay for a family event we need to attend in May. With her separation anxiety and energy, it's not easy to find someone who she will trust and who can handle her for even two nights! With family all on the other side of the country, we can't rely on them should the worst happen. Luckily I have friends with my local animal welfare organization who would make sure both of our pets are cared for, if it came to that. Still, it's a hard thing to consider. We have the same problem for short-term events as well. It's a challenge. Sounds like a good book and definitely an important topic. So many pets are put in shelters for this reason. Hey Kristine! I would look into an experienced pet sitter that could possibly stay at your house and keep Shiva on her regular schedule. It worked when we had my brother's dog Saydee. I had her come over a few times before we left to hang out and things went very well while we were away! Since I am by nature a worry wart, this always stresses me out when I am away - or the hubby and I take a day trip. What if something happened to both of us? Who would go to our house and make sure that our babies were taken care of? It is definitely something that needs to be thought out. I think about this, but talking to our grown children has given us a measure of peace that our Sage and the kitties would be well taken care of. Hmm, sounds like an interesting book! I'll admit I've never thought much about what would happen to my dog, Kinsey, because I imagine there would be a crowd of people who wanted to take her home. In part because she is the best, but also because if both my husband and I died then she'd be the only living creature left from our little family unit and everyone who missed us would want her. But Kinsey's aggression issues are minor (just don't try to get between her and a rawhide unless you're fearless) and I can see how if your dog is more of handful you'd have to worry about these things. It sounds like this book can help a lot of people.